E. P. Thompson is a towering fi gure in the fi eld of labor history, best known for his monumental and path-breaking work, The Making of the English Working Class. But as this collection shows, Thompson was much more than a historian: he was a dedicated educator of workers, a brilliant polemicist, a skilled political theorist, and a tireless agitator for peace, against nuclear weapons, and for a rebirth of the socialist project. 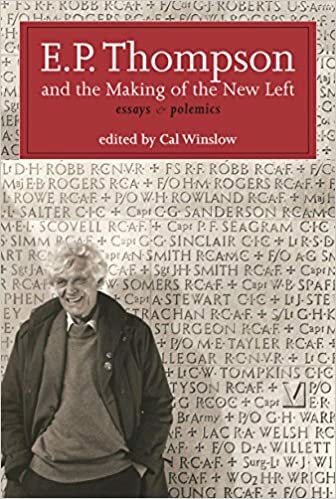 The essays in this book, many of which are either out-of-print or diffi cult to obtain, were written between 1955 and 1963 during one of the most fertile periods of Thompson’s intellectual and political life, when he wrote his two great works, The Making of the English Working Class and William Morris: Romantic to Revolutionary. They reveal Thompson’s insistence on the vitality of a humanistic and democratic socialism along with the value of utopian thinking in radical politics. Throughout, Thompson struggles to open a space independent of offi cial Communist Parties and reformist Social Democratic Parties, opposing them with a vision of socialism built from the bottom up. Editor Cal Winslow, who studied with Thompson, provides context for the essays in a detailed introduction and reminds us why this eloquent and inspiring voice remains so relevant to us today.